One of the most important things to do before setting on your journey to New York is to get a tourist pass. With a card in hand, you get to tour several places at a discounted rate, or better yet, completely free. Additionally, you are advised to look out for transport deals that are affordable. You can find websites with flight deals or take advantage of the extensive, but affordable mass transport systems. Several ferries are available for you to cruise around while having the best sight-seeing opportunity ever. 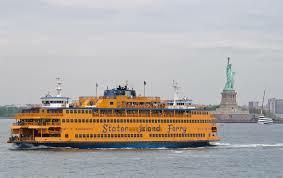 In fact, the Staten Island ferry offers free rides while giving you a dazzling view of the Ellis Island, Southern Manhattan, the statue of liberty and back again at no charge. 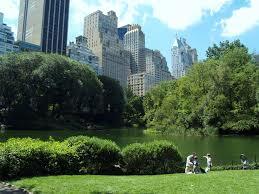 Central Park is one of New Yorks’ popular attractions. The moment you get there, you just feel as if you have been removed from the roaring city. You experience tranquility and serenity. Covering a vast area of 840 acres, the Central Park lets you enjoy a sports field, a zoo, a reservoir and a boating lake among many other features and attractions. 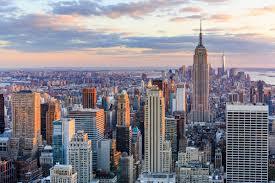 New York City has many landmark buildings with beautiful architecture. Unfortunately, for you to enjoy the sights, you have to part with a few dollars depending on the place that you chose to view from. 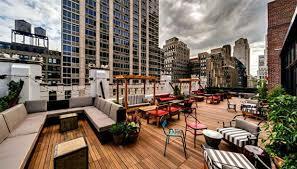 Most rooftop views charge $30 to $32. However, you could just opt to visit a hotel with a rooftop and order drinks while enjoying the sight from there. That’s a clever option for you. The charges for accommodation in New York City can be really expensive. 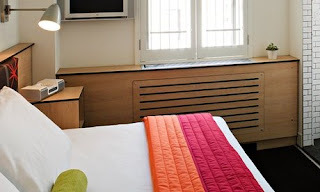 Often times, it depends on the place that you choose to spend the night. And while this is the case, there are some bargains that you can enjoy. Some properties will charge you $100 a night while there is also the option of spending the night in someone’s house rather than having an entire apartment to yourself at a cost of $60. There are many hacks and tricks that can help you enjoy New York on a budget and still go home with a good story to tell. Most of the time, it depends on your tact and how far you are willing to go.